Seven phases. 29 states. Seven Union Territories. Over 900 million voters. 1.035 million polling stations. 2,293 registered political parties. 8,000 candidates. 543 constituencies. This is the scale of the Indian General Elections that started today. 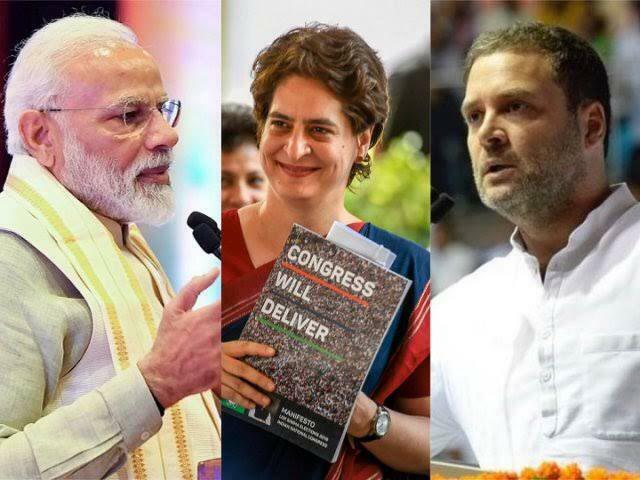 While Prime Minister Narendra Modi and his Bharatiya Janata Party-led National Democratic Alliance (NDA) are seeking a second term, the country’s grand old party- the All India National Congress-led United Progressive Alliance (UPA), under the leadership of Congress President Rahul Gandhi, are wanting to seal their return to power in New Delhi. These elections are a race to the 543 seats in India’s Lower House of the Parliament or Lok Sabha. Along with the national parliamentary elections, elections to the state assemblies of Andhra Pradesh, Arunachal Pradesh, Odisha and Sikkim are being held simultaneously. By-elections (which are generally held for individual constituencies, which have become vacant, because of a number of a reasons like- death of the representative, defections, etc) are being held in 11 states. So, to break it down, simply, we have three sets of elections taking place in different capacities. The elections, which began today with 91 constituencies in 20 states heading to polls, will take place in seven phases i.e. on April 18, April 23, April 29, May 6, May 12 and May 19. The counting of votes will take place on May 23. The race for the next Indian Prime Minister has not been rather easy. The conservative, right-leaning BJP has pursued a strong nationalist pitch to tap voter attention particularly after the February 14 terrorist attacks on an army convoy in Indian-administered Jammu and Kashmir and the week-long tensions with neighbouring Pakistan in the same month. Meanwhile, the Congress and other other opposition parties, in response to the BJP, established an anti-BJP coalition to “save the nation” from communalist forces. The NDA government’s policies of demonetization, faulty implementation of the Goods and Services tax, the agrarian crisis, growing Hindu nationalism, misuse of autonomous government institutions against critics and the opposition, the Rafale fighter jet corruption crisis, growing unemployment and Kashmir policy have all come under fire by the opposition. Additionally, the BJP is criticised for setting up an allegedly autocratic, centralized, undemocratic institution solely run by two men- PM Narendra Modi and BJP President Amit Shah. Meanwhile, the ruling BJP accuses the Congress of looting India for 60 years, for speaking the language of Pakistan, for being terror sympathisers and the opposition alliance or Mahagathbandhan, at large, to be a coalition without a prime ministerial face, without a policy or an agency and for being a Mahamilavat or a highly-adulterated political alliance. The race to New Delhi got even more heated, last week, after the Congress and the BJP released their respective manifestos. The Congress announced the NYAY scheme which guarantees a minimum annual income to India’s poorest families. They have additionally also proposed the watering down of the controversial Armed Forces Special Powers Act (AFSPA) in Indian-administered Jammu and Kashmir, proposed initiating a dialogue with Kashmiri separatists and keeping Article 35A and Article 370 untouched. The BJP, meanwhile, not only proposed abrogating Article 35A and revoking Article 370 but also promised a Uniform Civil Code, building the Ram Mandir in Ayodhya, establishing a pension scheme for small and marginal farmers and making India the world’s third largest economy of the world by 2030. What is imperative to note in the BJP’s manifesto or Sankalp Patra is that most of the promises made are applicable till 2022. The biggest flashpoint, ahead of these elections, Priyanka Gandhi Vadra. The entry of Priyanka, who was appointed as the Congress’ General Secretary for Uttar Pradesh, in active politics sent ripples across the country. The BJP slammed the Congress for bringing in Priyanka because of Congress President Rahul Gandhi’s inability to manage the party. Opposition leaders did not refrain from making sexist remarks like Priyanka Gandhi’s beauty being the reason for the Congress to rope her in. However, Priyanka’s resemblance to her grandmother, the late Indian PM Indira Gandhi, is cited to be a reason that could potentially re-energize the Congress cadre across the country, particularly in Uttar Pradesh, India’s largest state. Speculations are rife that Priyanka Gandhi could be fielded as the Congress’ candidate against PM Modi in his constituency, Varanasi. India is voting under some unforgiving sun and in a highly polarized time frame. Opinion polls, by and large, suggest the return of the NDA under PM Narendra Modi. However, the number of seats suggested by the opinion polls do not imply a mandate as monumental as the 2014 results. But, India’s fate will be revealed, in reality, with no speculations, only on May 23. Till then, the wait is long and sunny, of course.